Yes, we’re aware it’s now July and thus already season transition time again. Sorry for the late publishing, but we were holding out for Blood Blockade Battlefront’s finale, which now seems to be on indefinite hiatus, though given the information it will be over a half-hour in length, I think we can expect a great conclusion. We’ll get that to you at some point, but we obviously can’t wait any longer to touch on the rest of this season’s finales. What ended well? What did we not care for yet somehow finish? And what was totally dropped? 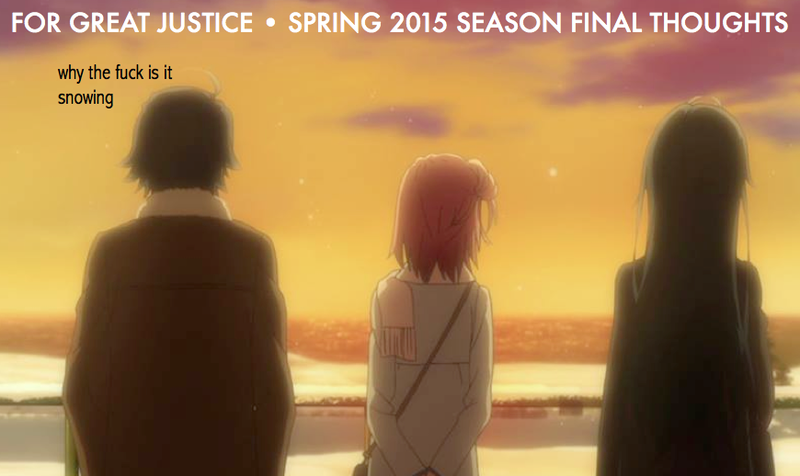 The answers lie ahead in this season’s final thoughts article! Hey, folks. 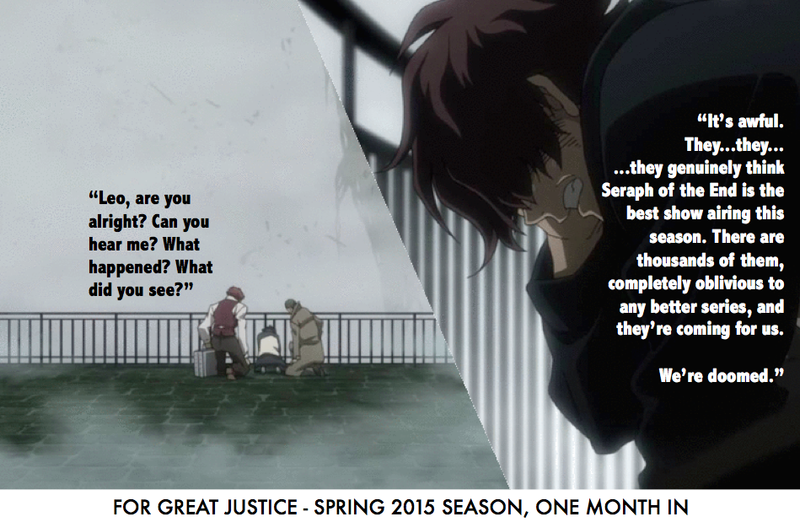 It’s now May, and one month into the spring 2015 anime season, For Great Justice is back to bring you our thoughts on this season’s best, worst, and most irritably average shows. 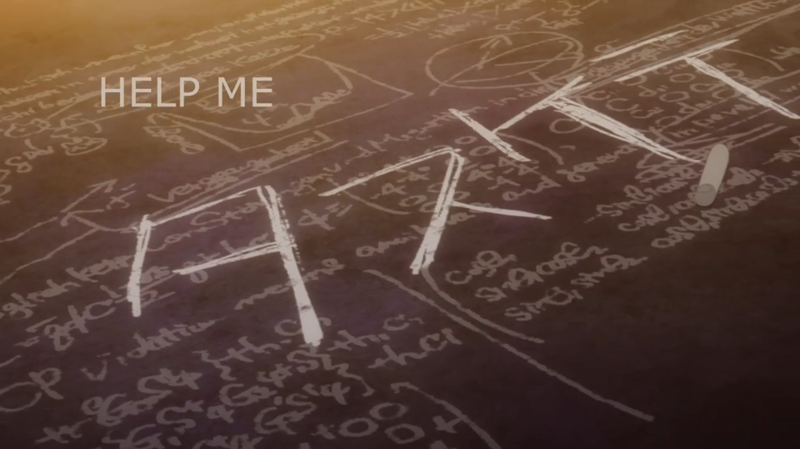 Long story short: start watching Blood Blockade Battlefront. Just a note: this will be Yata’s last article for at least a month and a half, as he’s going to be moving halfway across the country to go to college and that will understandably take up a large amount of his time and attention. Haru and L-K will be back for the Second Third Thoughts article over this season at the start of June, and hey, who knows, maybe we’ll even do a mid-season podcast or two with the whole gang. Anyways, spring! What’s worth keeping up with? Read on!